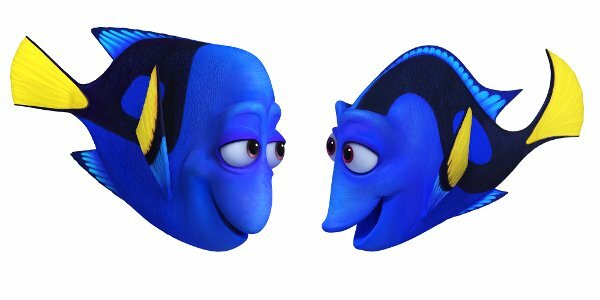 On June 17th, audiences far and wide will be able to reunite with Dory, Marlin, and Nemo in Disney / Pixar's summer offering for 2017, Finding Dory. Up until now, we've had a vague idea of who would be co-starring alongside the returning characters and cast-members that Andrew Stanton's sequel has attracted. Now, thanks to a huge announcement made by the folks at Disney, we've got the full list of characters, both old and new, who will be a part of Dory's journey of self discovery! Prepare to swim along, as we bring you the cast of Finding Dory. First, we'll start with the returning characters from Finding Nemo, who for the most part are in tact – except for two major recasts, for obvious reasons. Andrew Stanton and Bennett Dammann – Crush and Squirt, the sea turtles. 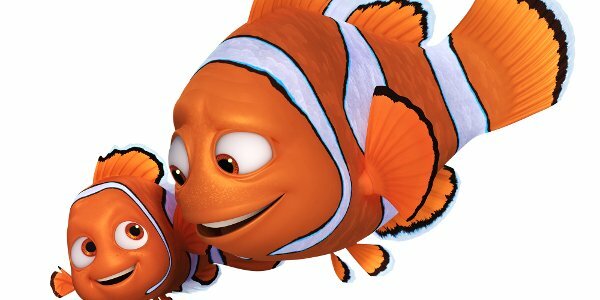 The eagle eyed among you will have noticed that both Nemo and Squirt have been re-cast with new actors for Finding Dory, seeing as the original voices of both characters have outgrown their roles from the previous film. Replacing Alexander Gould and Nicholas Bird, the original voices for Nemo and Squirt, respectively, are Hayden Rolence and Bennett Dammann. Of course, Dory's adventure to the Marine Life Institute will be filled with an assortment of colorful characters, with even more interesting cast members to be introduced. It is our honor to present to you the new cast and characters joining the Finding Dory family. Ed O'Neill – Hank the "septopus"
Obviously, the huge addition to the Finding Dory cast is the absolutely perfect pair of Diane Keaton and Eugene Levy as Dory's parents. Thinking of the comedic antics the two legendary comedians could get into alone is exciting enough. However, the fact that Ellen DeGeneres and Albert Brooks are set to cross paths with all of the comedic all-stars on the list above is something that makes the wait for Finding Dory that much more rewarding. Though if we were a betting organization, we'd put money on Idris Elba and Dominic West stealing the show as a pair of lazy sea lions. The wait is over when Finding Dory finds its way into theaters on June 17th.